First post back in London and it's as dreary as ever. Not to worry though as I've got my new far-too-cool-for-me coat to keep me warm, awesome. My Superstar's are slowly replacing my Stans which makes me a bit sad, can't believe I'd have laughed the thought of wearing trainers a year ago. Fashion eh. I love the dress! Definitely on my pay day wishlist! LOVE everything about this look! The long line bomber is amaaaaazing! 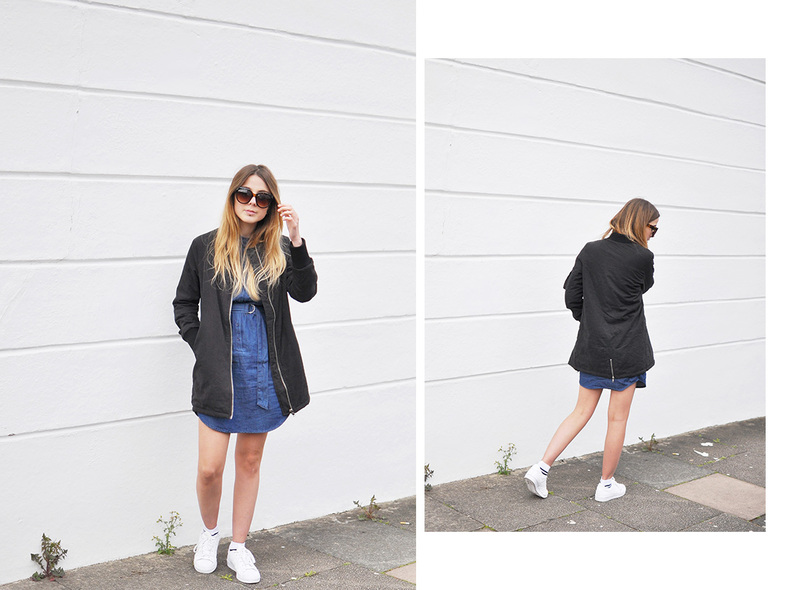 I LIVE in my bomber jacket at the moment, so I feel like that jacket would be a genuine investment for me! You look fab! love this outfit, so effortless! In lurrrve with that dress!